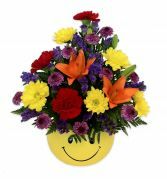 Send a smile with this cheery and colourful arrangement! 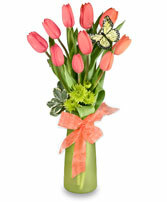 This arrangement will be filled with a variety of colourful flowers, and will not necessarily be exactly as pictured. 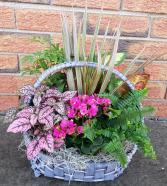 If you have a certain colour or flower that you would like to see in this arrangement, please make a note of this in the 'Special Instructions' and we will do our best to accommodate your request. 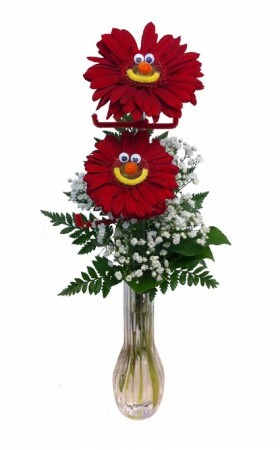 Note: 'Happy Face Bowl' may be substituted for 'Happy Face Mug' depending on availability.